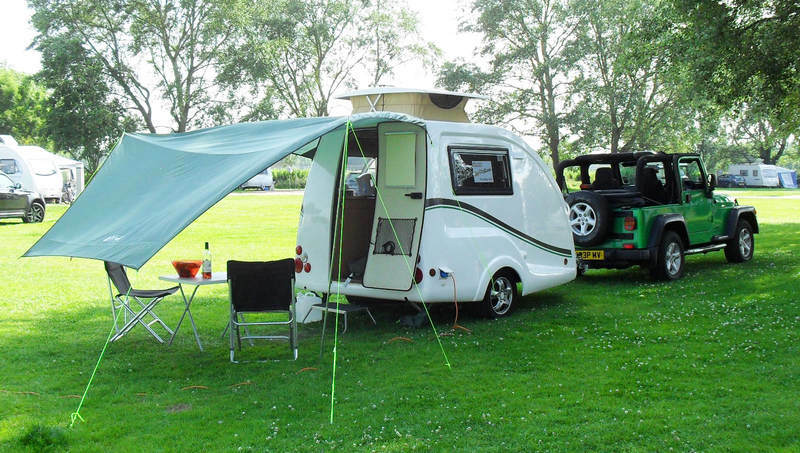 The Red Lion Caravan Centre Ltd sole UK importers of the GOING Go-Pods. The main shell is produced in our experienced Portuguese plant and the furniture & fixtures are also fitted there before being brought by transporter to our UK head office in Lancashire. In our UK workshops, expert fitters add many of the accessories to our customer’s own specifications. Who are Red Lion Caravans? Based in Lancashire and originally established some 40 years ago, The Red Lion Caravan Centre Ltd buy, sell, repair and fit both caravans & motorhomes. They are our Head Office and finance the factory in Portugal. They offer a range of caravanning equipment including motor movers and are amongst the largest dealers of pre-owned caravans in the North or England. Go-Pods is the Trade Marked brand name for the micro tourer. Business adress: Red Lion Caravan Centre Ltd, 300 Southport Road, Scarisbrick, Lancs, PR8 5LF. More about the sales & marketing. The sales, marketing & pre-purchase enquires are handled by independent marketing company, Fling Promotions Ltd in Bedfordshire. Established in 1969, their company registration number is 1353639. The marketing company operates from a home office, taking care of the order processing, websites, social media etc. Managing Director Mr Phillip Palmer, was a customer before taking on the role for Red Lion Caravans and still enjoys using his own Go-Pod as often as possible. Viewings are always by appointment. This is so that we can ensure you receive a full hour to look over the demo model without interuption. • At the Red Lion Carvan Centre Ltd in Lancashire. Our head office. • At any of our 50+ owner locations. These are real customers who have bought & use Go-Pods. They offer viewings to others as part of our Referrals & Rewards programme to save people some travelling time and providing them opportunity to speak to a real owner, rather than a scripted sales person. After viewing, customers are invited to order online or by phone, as preferred. • Go-Pods are also available to see at a number of events & shows. Please click here to book a viewing. You will receive a confirmation & directions after submitting your request form. We have two websites. At www.Go-Pods.co.uk you will find a wealth of information regarding the Go-Pods every detail. 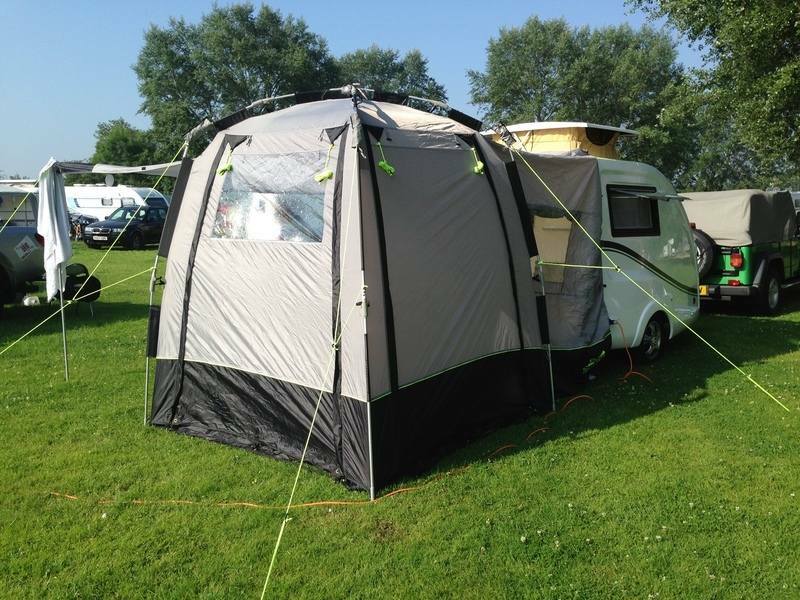 This site links to our dedicated online shop at www.2berthcaravan.co.uk which offers more detail on the models and accessories, prior to purchasing. It is a user friendly area where you can build your perfect Go-Pod, then proceed to ordering once ready. What’s the difference between Go-Pods & a Cockpit S? The Go-Pod and Going Cockpit S are the exact same caravan. In 2014 we re-branded them as GOING Go-Pods, which is also a registered trademark. Can I buy a Go-Pod from anywhere else? We are the sole suppliers of Go-Pods, they are exclusive and are not available to buy elsewhere. For our viewing locations please click here. How do I insure a Go-Pod? Insurance quotes for your Go-Pod may vary depending on your postcode, storage location and the security devices you apply. We recommend Scenic Insurance who offer a new for old policy based on the purchase value of you Go-Pod inclusive of accessories. Mention Go-Pods when requesting your quote for extra Pod Club benefits. Click here. Where is my chassis number? Your chassis number can be found on a stamped plate that's riveted to the square draw bar at the front of your Go-Pod. The longest number on the plate is your chassis number. This will be required when insuring your Go-Pod. Can my car pull a Go-Pod? Go-Pods are light enough to be towed by many of today’s small engine cars. 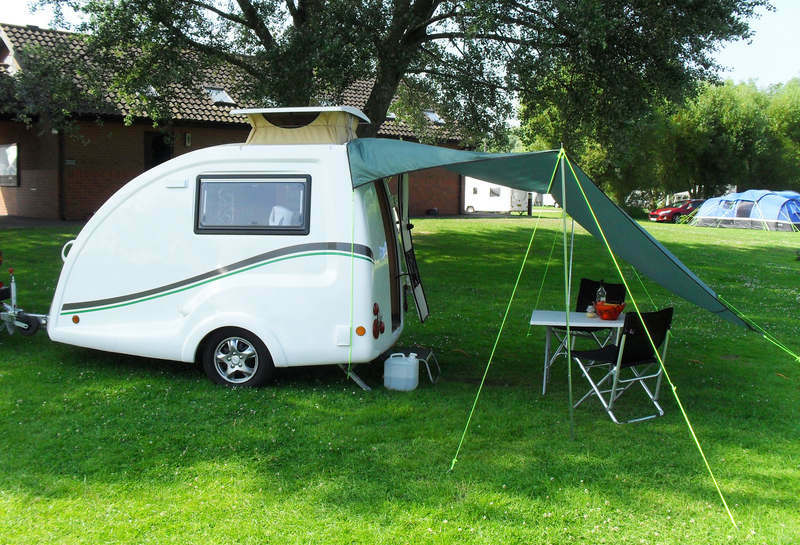 Go-Pods have brakes on the wheels too, so look for the ‘Braked Towing Capacity’ and as long as it exceeds the weight of your particular Go-Pod, your good to go. It's wise to allow for additional weight such as gas bottles, cables and other items & the weight of each item you add ca be found in the shop section of the website. For more information, please click here. What tow bar do I need? You need a standard 50mm diameter tow ball and 13 pin Euro socket electrics. This socket will accept the Go-Pods 13 pin plug which works the towing lights, charges the caravan's on-board battery and powers the fridge in transit. If you're tow vehicle has twin electrics you can buy an adaptor to convert the leads. If you have only 7 pin electrics on your car, you can still tow with an adaptor but it will only operate the driving lights & won't power anything else. You do not require an AL-KO branded tow bar and non branded tow bars are fine to fit. Do I need extended driving mirrors? The Law requires that drivers of the towing vehicles have adequate view to the rear. With the Go-Pod, most vehicles existing side mirrors allow for a good view along the entire side of the caravan and extension mirrors are not therefore required. How do I order a Go-Pod? To secure your order and collection date, a non-refundable deposit is required. Should you wish to add any accessories, these are due for payment at the same time. Orders can be placed online - please click here. With your deposit and accessories paid for at time of ordering, the balance is due on collection. Inspect your Go-Pod on the collection day to ensure that everything is perfect for you before making the final paying. Then for convenience, the balance can be paid using a debit card. Where do I collect my Go-Pod? Collection is from Lancashire, PR8 5LF. A delivery option is available at checkout. For information and tips on collecting your Go-Pod please click here. Yes, Go-Pods are very well insulated with Styrofoam block insulation fitted between the outer wall and the inner skin. This helps them retain warmth in the winter and stay cool in the summer. What are the tyre pressures & sizes? Go-Pod trailer wheels are 35 psi. Inflatable jockey wheel pressures vary with manufacturer, so please refer to the recommended psi that is displayed on the tyre's wall. Please replace Go-Pod trailer tyres with the same type as fitted - 175/70R13 86N - which can normally be purchased from online tyre dealerships. Alternatively please contact Red Lion Caravans Ltd who usually keep them in stock and can send them to your address for local fitting. If your local tyre fitter offers you a different tyre, please note that although acceptable, there could be a slight size difference that may affect owners with motor movers. It is recommended not to cross tyre brands on the same axle. Please observe standard tyre safety guidelines. I want to fit alloy wheels. What are the specs? Go-Pods wheels are 4 ½ J x 13 H2 ET30. Click here for a useful explanation by towingandtrailers.com and check out the Blog page too - click here. What’s MiRO, Actual Mass and MTPLM? For informations on weights, towing and jargon - please click here. What about a number plate? You'll need to bring a number plate with you when collecting. The Go-Pods default shell colour is white GRP and on the Standard, PLUS or Platinum models, you can choose the colour of your decals at checkout. Additionally, you can opt to upgrade your white GRP shell to any non-metallic RAL colour code. More info on the available GRP shell colours click here. Another option is to add special side panels or graphics to your Go-Pod and for more information - click here. Are there fabric options available? As Go-Pods production levels are quite low, we offer a standard, beige interior but it is possible to upgrade to the popular swirl effect or other fabric colours. Please click here for details. Do Go-Pods come with a warranty? Yes, your Go-Pod has a comprehensive 12 month manufacturer's warranty on the other non-consumable items. Warranties are non-transferable for privately purchased second hand Go-Pods as they have not undergone our approved pre-owned manufacturers inspections. To download a pdf copy of the warranty please visit the downloads page. We do like to see your Go-Pod back at our workshops if possible, as our expert staff are best suited to caring for your micro tourer. However, we recognise that this is a long way for many customer and as such, you may prefer to undergo your service more locally. Any NCC approved workshop is authorised to service your Go-Pod and for a download of the service schedule please click here. Is there a Powrtouch motor mover help page? Please review our videos section for a quick start guide to your motor mover. If you'd like to CRiS register your Go-Pod this should be done directly with the scheme. Please contact their website at www.cris.co.uk to buy your registration pack. This is the long number found on the ID plate that's located on the square draw bar, at the front of your caravan. • Please ensure you state that the Go-Pod is an IMPORT. Our factory is located in Portugal and as such, their registration system classes Go-Pods as imported caravans. After Sales, maintenance and repairs. For all after sales assistance please contact the Red Lion Caravan Centre on 01704 88 99 73 or via email. Office hours are 9am to 5pm Monday to Friday. Please refer to the website for the official specifications at time of purchase. Red Lion Caravans Ltd reserve the right to change, amend or modify specifications as necessary. We don’t currently have Go-Pod distributors outside of Mainland UK, as no spare production capacity is available to supply dealerships with. All production is pre-sold to the home market, however we are working to increase output and hope open overseas offices within a few years. If you live in Europe, we have members of our Owner Viewings Programme in Ireland & Spain. Otherwise, you can still purchase a Go-Pod online, collecting from our Lancashire depot when it’s ready. Many EU customers do just that. For customers further a field in the USA, Australia & New Zealand, you can import a Go-Pod direct from us if required. We would introduce you to a shipping agent who would arrange the transport on your behalf. For USA and Australian customers, you may need to modify the electrics once landed to suit your country's mains voltage supply and towing regulations. For customers in New Zealand - please click here.